Violin Sonata no.3 in A minor, op.post. These wonderful violin sonatas, written a few years before his death in an asylum, belie the dictum that “Schumann started as a genius, and ended as a talent”. These are works by a passionate genius, highly original, full of feverish energy, childlike wonder and contemplation. Included are the sonatas Op.105 and Op.121, as well as the posthumous sonata in A minor WoO27. 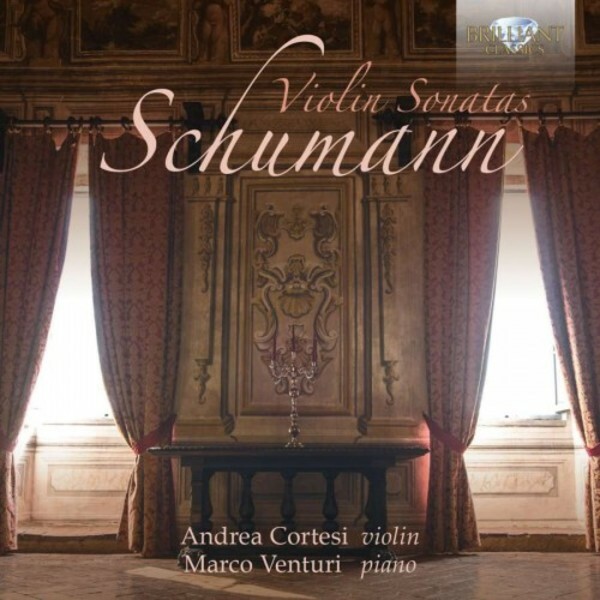 The sonatas are played with total commitment, in imaginative and improvisatory style, true to Schumann’s flights of fancy and romantic spirit, by two Italian musicians - Andrea Cortesi and Marco Venturi, who recorded to international critical acclaim works by Kancheli, Tüur and Glass for Brilliant Classics (BC94814).